Attention smart shoppers: There is still one more reason to take a look at our website, because currently we run a setup promotion on our two top models, our Dedicated Server 6-Core and Dedicated Server X. 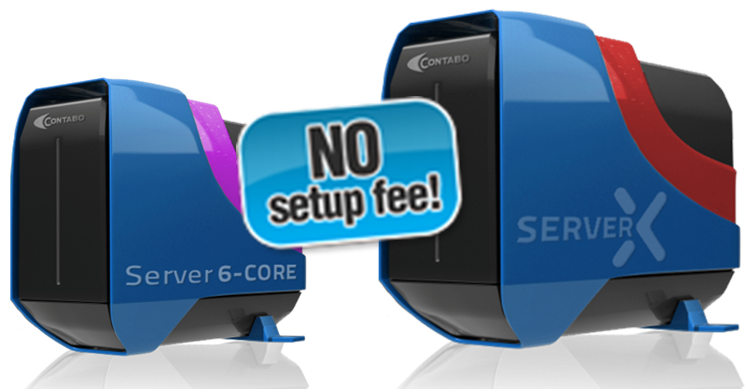 Benefit from high-quality hardware and support of Contabo and save up to EUR 70,- when ordering one of our high-end servers because we completely waived the setup fee. only 89.99 Euro / month! This week only: NO setup fee! only 109.99 Euro / month! Offer only valid until our stock lasts.